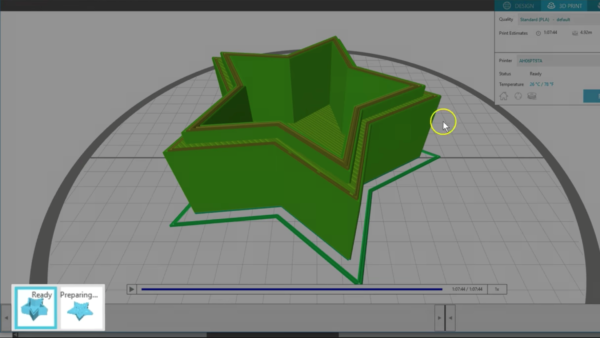 Snapkits in Silhouette 3D™ allow you to build custom objects with predesigned pieces. 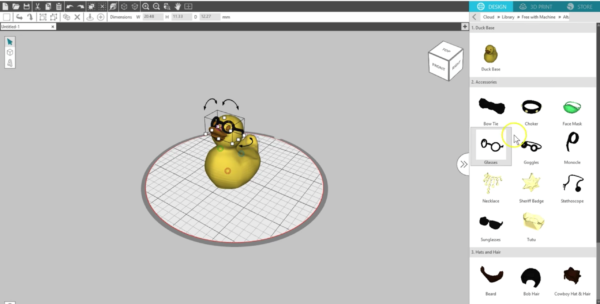 These special 3D printing files let you customize your piece by mixing and matching different design elements. 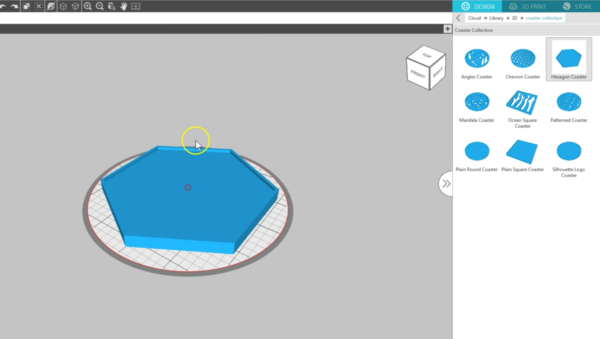 You’ll find some Snapkits among the Free with Machine folder for designs that come preloaded with your Alta 3D printer. 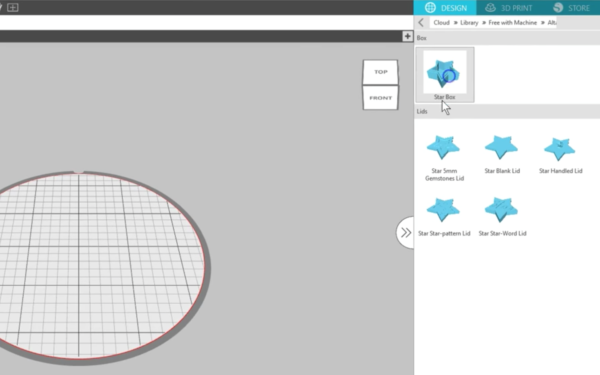 You can purchase additional Snapkits from the Silhouette Design Store under the 3D Printing section. 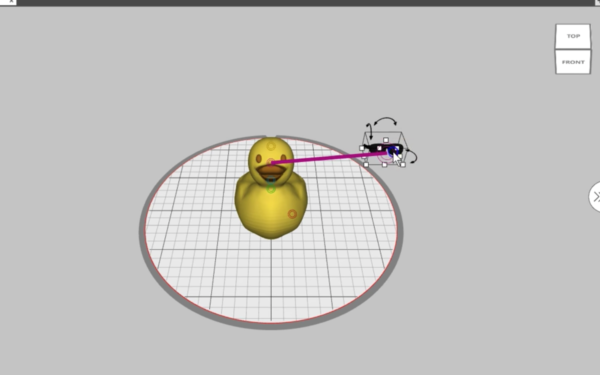 3D items are continually being added. 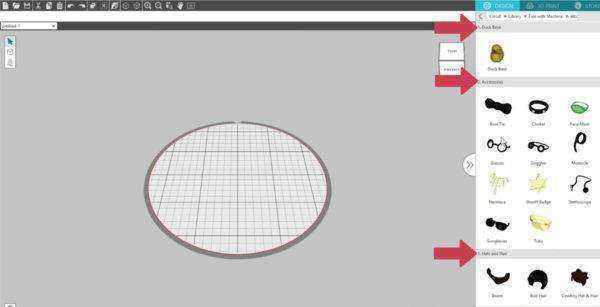 These purchased Snapkits will land in the 3D folder of your Library. 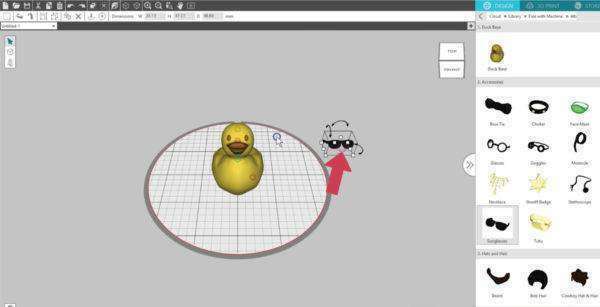 Cutipets and the Design-a-Duck Kit are a couple of examples that come free with the Alta. 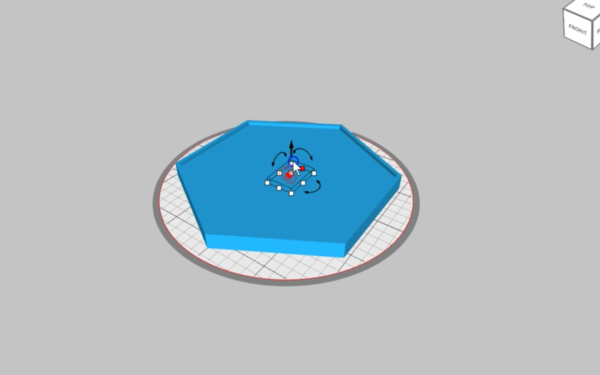 When you double-click to open a Snapkit, you’ll find some divisions in this folder, such as a base and accessories. Choose a main piece, then select another piece from a different section. Simply drag an accessory over from the library, and you’ll notice it has two colored circles. That means that piece has predetermined snap points to put it in the right place. 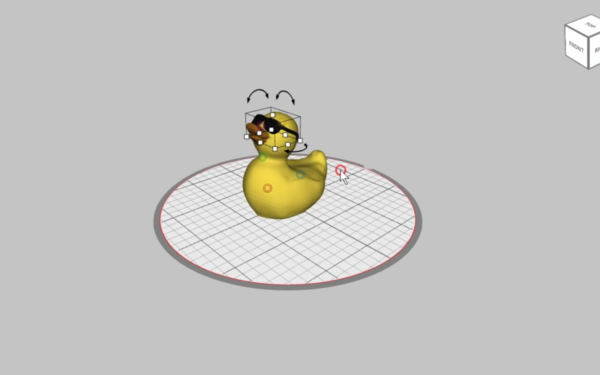 Sometimes those Snapkit pieces are accessories for a character, sometimes they are for a lid to a box, and sometimes they are for text. Drag a piece showing the two colored circles toward another area with the same colored circles, and you’ll see a colored line appear. 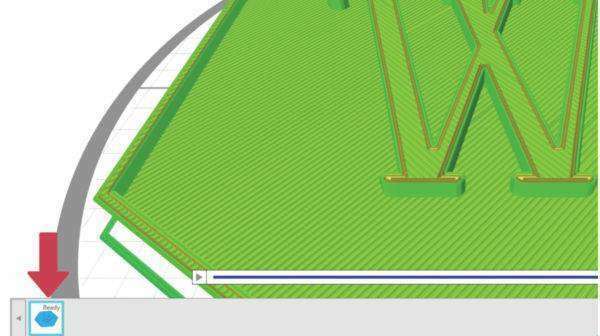 When you see that line appear, you can release your mouse and the object will snap into the correct position. 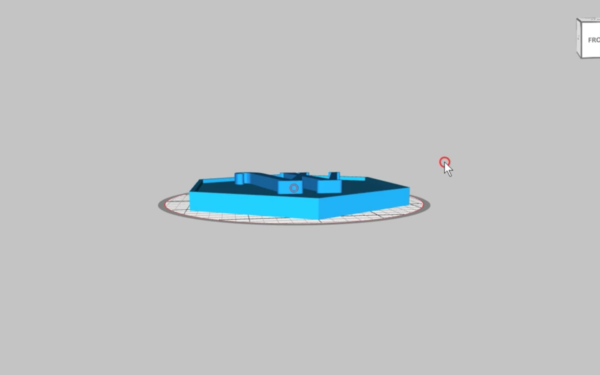 If you don’t like it, you can delete just that piece, or replace it in some Snapkits by dragging over a new object that fits the same area. 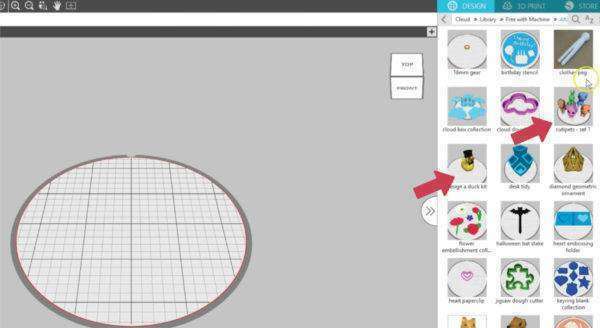 This is a fun way to customize your 3D objects that are part of a Snapkit. Text can also be used as Snapkit pieces. 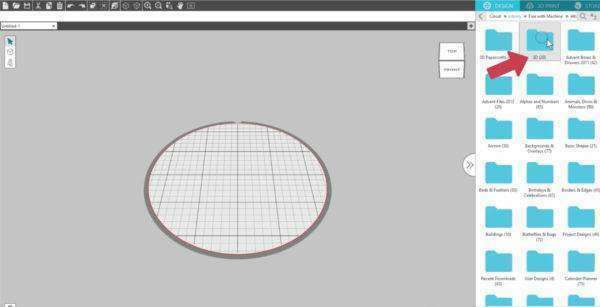 We will open a plain coaster from this 3D Snapkit coaster collection you can purchase. Now we will type and edit a Monogram. No matter how we move and adjust the designs on the page, we can use that snap line to get them back into the correct place. Objects that are snapped together are automatically grouped, so you don’t need to go through the extra step of grouping Snapkits. 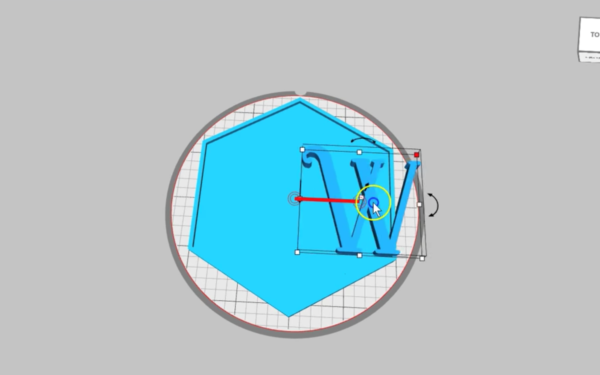 They become one piece in the 3D Print tab. 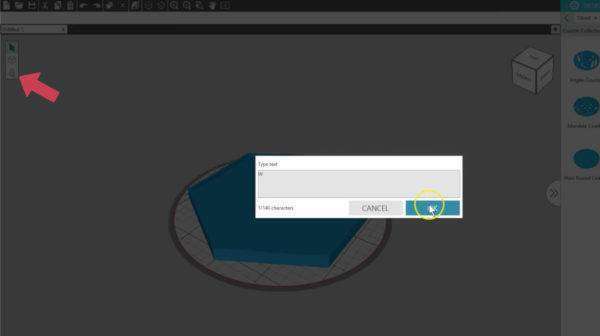 However, the software does know when an object is a lid and will print that separately. 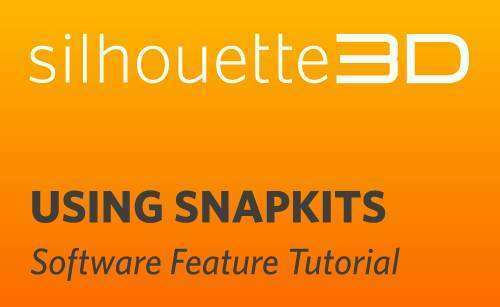 That’s how Snapkits work in Silhouette 3D™.